One of the most popular party themes for girls is the pink flamingo. With all the tropical elements coming together, straight away, one will surely feel the summer paradise vibe. The style team from Mago Events did a splendid job in making this inspiration come to life for Zadie’s first birthday soiree. Starting off with the details: basic icons for a flamingo themed party is of course, the pink flamingo. To give some highlights are tropical elements such as rainforest greens, tropical fruits, and flowers. For the color palette: without a hitch, you’ll know that the main color motif of this affair is PINK! To add that cool and refreshing summer feel, hues of Green and Yellow made a splash, plus a dash of Gold, Blue and Purple to make it more festive. Having all those mixed together is like being transported to a chic tropical paradise. 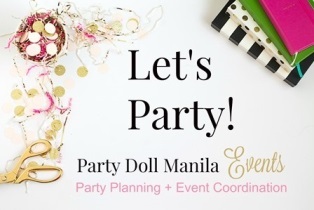 Let’s relive the summer solstice by taking a closer look at this wonderful shindig, perfectly coordinated by Party Doll Manila Events. Now, feast your eyes with the awesome snaps shared with us by Camille Gonzales Photography. With this festive party invitation, this event is one that you surely wouldn’t want to miss. You can already hear the sound of the rainforest calling you to dance your way to this soiree. A lovely path, to a very welcoming gateway. The flamingos, the flowers, and the bushes on both sides are ready to give a warm greeting to the party goers as they all chant ‘Zadie is One!’. The stage set-up looks oh so chic! The polka dots backdrop with Zadie’s name, fits well with all the greens. The balloon arrangements with different shades of pink, are the perfect accent to the stage wall design. While the flamingo, watermelons, and pineapples that are decked on each side; completed by flowers and topiary balls, amps up the overall stage design. White linen is the perfect base for a clean, crisp table set-up. This made the centerpiece standout to be view-worthy. The centerpiece comprises of a pink flamingo, tropical fruits, plus the star of the affair- adorable little Zadie! This oh so pink cake looks so dainty and elegant at the same time. Not to mention the pink flamingo standing gracefully atop. It’s one confection that is both delightful to look at as it is to taste. Truly one that stole the scene, kudos to Sweet Creations by Mum. A delectable sight: yes, this dessert station will keep you drooling with a variety of mouth-watering treats. There are cake pops shaped in flamingo and pineapple; rice krispies that are lovely decorated with flowers and flamingos; cupcakes topped with watermelons, flowers, and flamingos; sugar cookies of different designs, molded chocolates decorated with flowers and flamingos; everyone’s favorite pink macarons; and a lot more. One of the things that we look forward to in an event is the program. Everyone really enjoyed the fun games and the show-stopping tricks. To add more excitement, the awesome Tectonix gave an outstanding act for kids and adults alike with their interactive dancing balloon show. No tummy will be hungry at Zadie’s party! There are food carts available to keep one’s hunger at bay. Ice Cream, Nachos and Cotton Candy food carts are the way to go, to shush those grumbling tummies. Different game booths entertained the guests while they wait for the program to start. They’re easy to play, yet so fun; you’ll hear laughs and cheers for sure. There’s always this special nook where one can take a personal photo-op. A corner that is Instagrammable, you’ll not let an opportunity pass by to have your photo taken here. Pretty, and yet very useful. Zadie’s giveaways are designed to match the tropical, pink flamingo theme of the party. Our super adorable birthday girl, with her lovely parents. Zadie is one lucky baby to have such loving and thoughtful parents. This party will surely be one of those memorable events that they will always tell Zadie when she grows bigger.